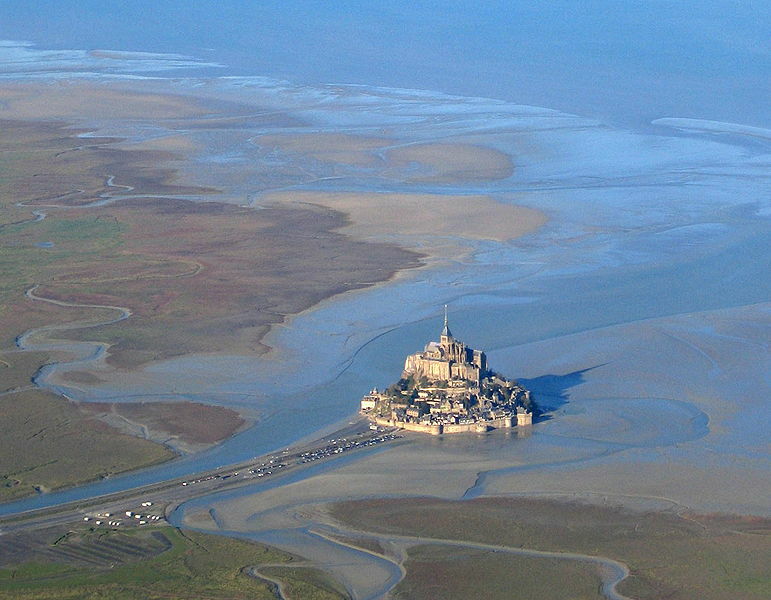 Mont Saint-Michel rises up out of the Couesnon River like a castle on a cake platter — it stands perpendicular to the surrounding water, shoreless and cylindrical. When my family visited in 2001, we entered the island via a causeway that disappeared beneath the tide every day around dusk. It’s a medieval dreamland of sorts, with stone walls that wind round and round, enclosing streets, shops, and La Mère Poulard. Established in 1879, this highly-acclaimed eatery once appeased the hunger of Earnest Hemingway and Yves Saint Laurent. Despite this, La Mère gained its celebrity by virtue of its food, specifically its omelettes. We booked a reservation. At the appointed time, we pulled up chairs in the dining room — a sunny space filled with the tinny thumping of whisks on copper bowls. We skimmed the menu. Omelette with lobster. Omelette with crab. Omelette with gruyere. Seemed pretty straightforward. But then, my eyes alighted upon the prices. Translated into dollars, none of the omelettes came in under $50. We consoled ourselves — It’s vacation! Now or never! — and then ordered. About 20 minutes later, the omelettes arrived. I use the term omelettes loosely. On each plate, an amoebic yellow foam leached across the ceramic, emerging from a blackened crust. It was inedible except by spoon or lapping. I tried a mouthful. It tasted like foamy raw eggs. It was foamy raw eggs. We choked and gagged, trying to salvage some modicum of nutrition out of this $200 meal. I can safely say I would never revisit or recommend La Mère Poo-lard. 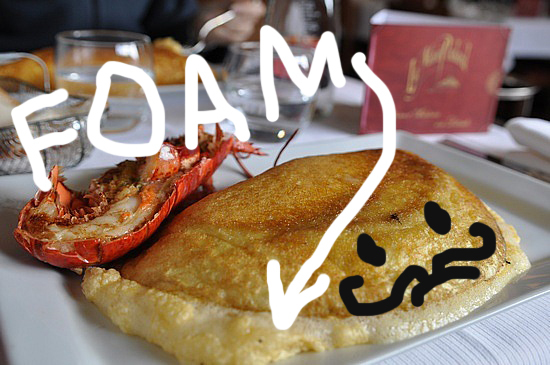 A flattering image of a Mere Poulard omelette. Mine had an extra inch of foam and a thin, torched shell. Interesting how what seemed like a horrible breakfast at the time would turn out to be one of our best and most fun memories. It truly is super cool. I would recommend a visit. And despite the omelettes, there’s lots of other great food on the island for a lot less money.